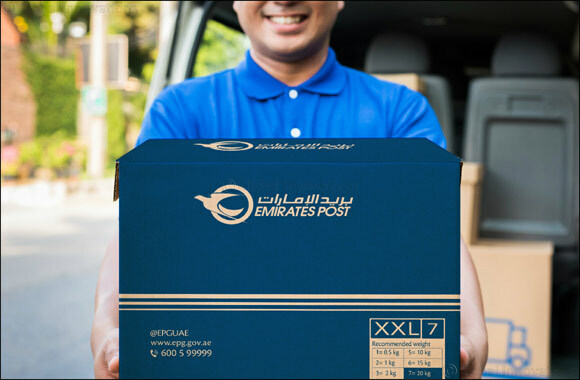 Dubai, UAE; 04 July 2018: Emirates Post, UAE’s leading postal and express provider, is extending the discount campaign on its international Express to-door delivery service until July 31, 2018. Varied savings of up to 60% can be availed for shipments weighing 15-30kg to six destinations: India, Egypt, China, Pakistan, the Philippines, and Bangladesh. “The discount campaign that was running during the month of Ramadan received such positive feedback and uptake that the decision was made to extend the offer further,” said Obaid Mohammad Al Qatami, Acting Chief Commercial Officer at Emirates Post Group. “Identifying and responding to customer needs is a key priority at Emirates Post,” continued Al Qatami. “Providing valuable offerings on our recently upgraded Express delivery service will raise awareness and encourage customers in choosing cost effective solutions for their postal requirements. Emirates Post’s ‘Express’ service is available for both domestic and international delivery needs. Express provides door-to-door pickup and ‘next day delivery within the UAE and a 2-5 day delivery to more than 190 countries around the world. Express is a registered service offering proof of delivery, insurance, and no additional documentation for shipments of AED 1,000 or less in value. “Our Express delivery service is especially of great advantage for e-commerce companies and small-medium enterprises (SMEs). They can easily send documents and samples at competitive prices directly to the customer with ease, speed and security,” concluded Al Qatami. Emirates Post aims to run similar campaigns throughout the year targeting different destinations.